The Geneva-based Euro-Mediterranean Human Rights Monitor (Euro-Med) said that Israeli forces caused injuries to one in every 100 Palestinians as Gaza protests conclude 200 days and called on the international community to exert serious pressure on Israel to end its targeting of Palestinian demonstrators. 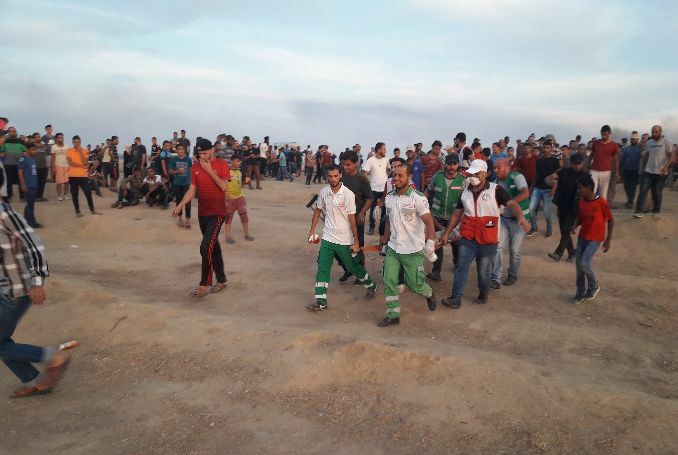 Euro-Med described the continued use of excessive force by Israeli forces against Palestinian protesters at the Israel-Gaza fence as “deeply shocking,” noting that in the 200 days of protests, Gaza lost 205 residents. In addition, 69 of those injured, 14 of whom were children, suffered permanent disability, according to the latest statistics by the Palestinian Ministry of Health in Gaza.